As a partner of the most prestigious flat races in the world, and as a tribute to the chronographs produced from 1881 on for race goers and jockeys in New York, the famous Swiss watchmaker has now launched the Conquest Classic line. True to the brand’s values of elegance, tradition and performance, this new collection of models, all fitted with self-winding calibres, is both contemporary and perfectly timeless. The “Conquest” brand was patented through the WIPO on 25 May 1954. 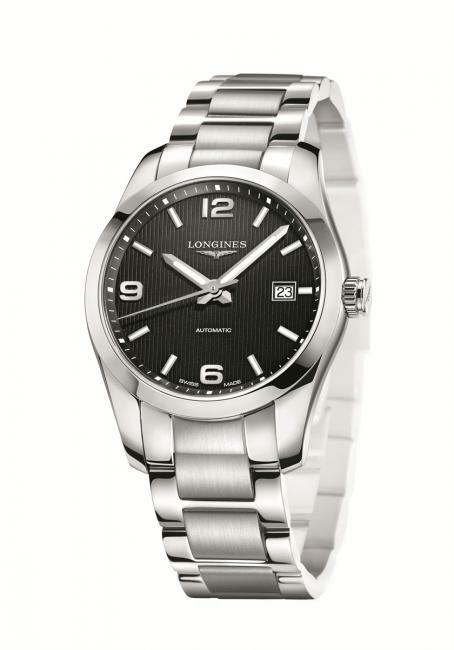 Since then this name has been used for many successful models manufactured by Longines across the years. Today, Conquest Classic joins the brand’s other collections of classical beauty that have helped to make Longines’ reputation and success throughout the world. 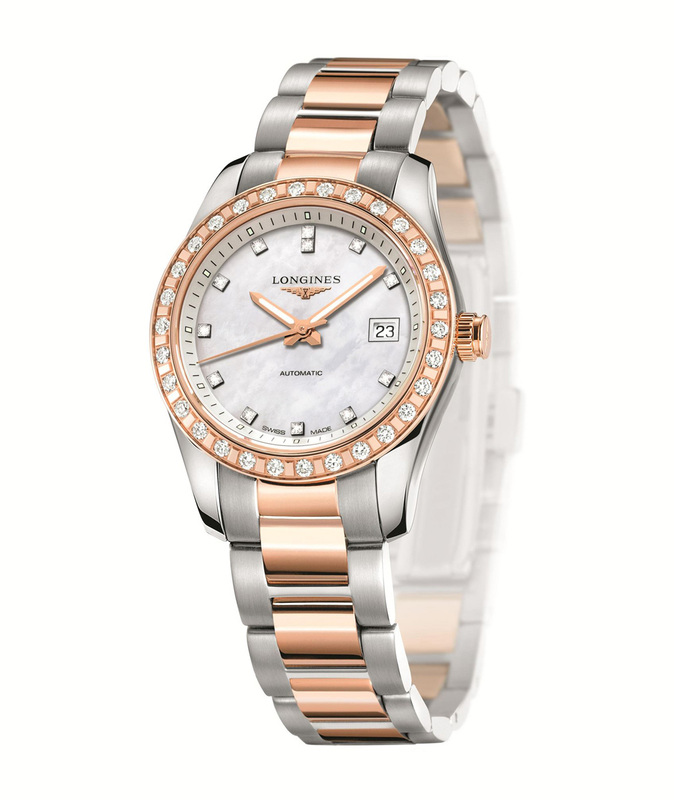 Longines Conquest Classic Ladies Two Tone set with 12 diamonds on the dial and 30 more on the bezel. Conquest Classic is available in three sizes. The ladies’ models have a diameter of 29.50 mm and show the hours, minutes and seconds as well as the date; they are available in steel, rose gold or in a combination of steel and rose gold. The black or silvered dial has applied 12, 6 and 9 numerals, lending this model a truly sporty look. The various versions are also available with a diameter of 40.00 mm. The mother-of-pearl dial set with 12 diamonds lends the ladies’ models an extra air of refinement, and in some models the bezel is also set with 30 diamonds. These models are fitted on black alligator straps or steel or steel and rose gold bracelets, each to match the dial. All straps and bracelets all have a folding safety clasp.